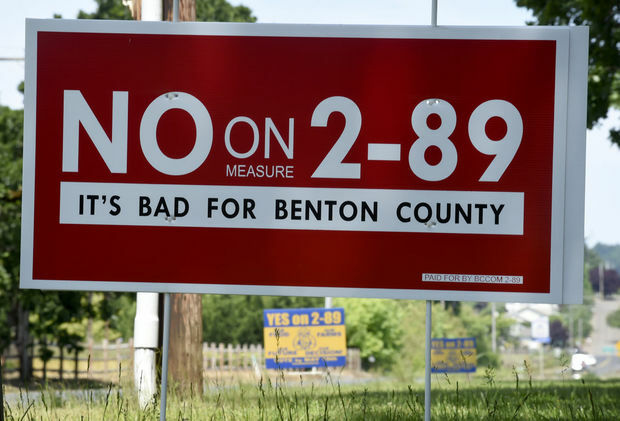 An update: the Benton County anti-GMO ballot measure 2-89 went down to a resounding defeat in last week’s election: you can read an account in the Corvallis newspaper here. It was not clear to voters that the measure would not ban genetically-related research at Oregon State University (its language indicated a blanket ban on all genetically modified organisms in the county), and supporters were in addition thoroughly outspent. Food historian Rachel Laudan brought to my attention this blog by Marc Brazeau on GM foods that came out last year. It makes some good points about plant breeding in general, and notes that genetic modification is an extension of that age-old practice. The anti-GMO group say they will try again.